Elisabeth is working with a customer. I have been naildesinger long enough to know that my work is never better than my last set of nails. I work efficient and am using 55 minutes on a full set of nails and 25 minutes on a maintenance without permanent French manicure. With permanent French manicure I use from 45-55 minutes on a maintenance. 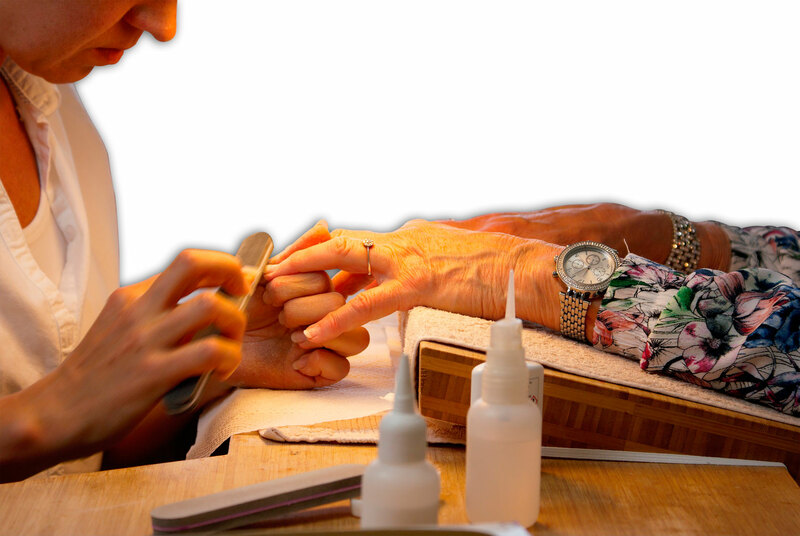 If you are/ have used other types of artificial nails and are new to resin nails, want to start at our school or are a guitarist, test and see if Scandinavian nails is for you. It's free. I am known for being on time, so I appreciate you to not be late for your appointment.